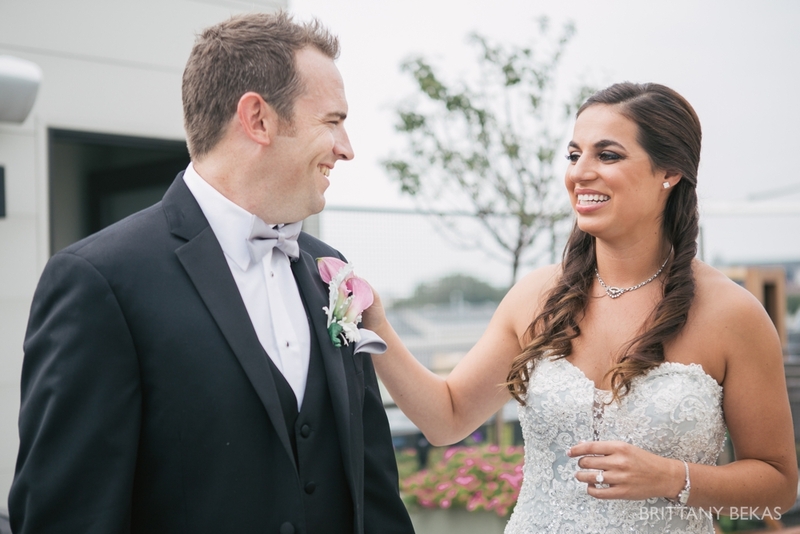 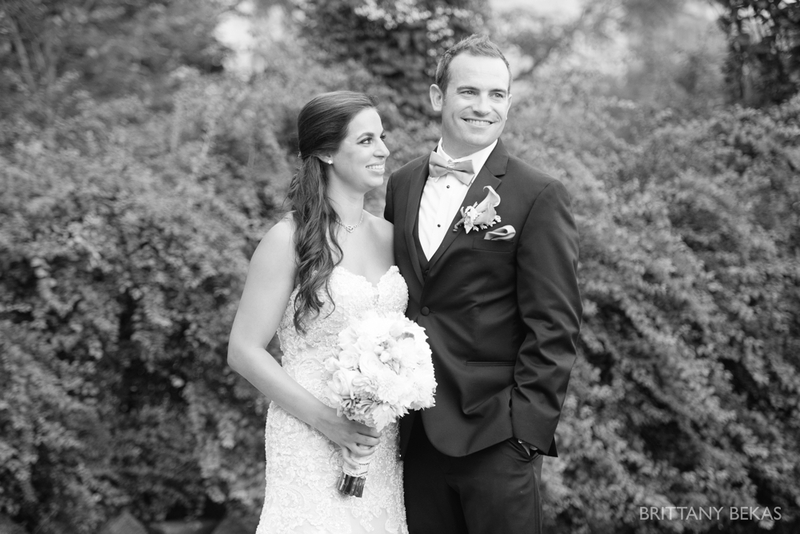 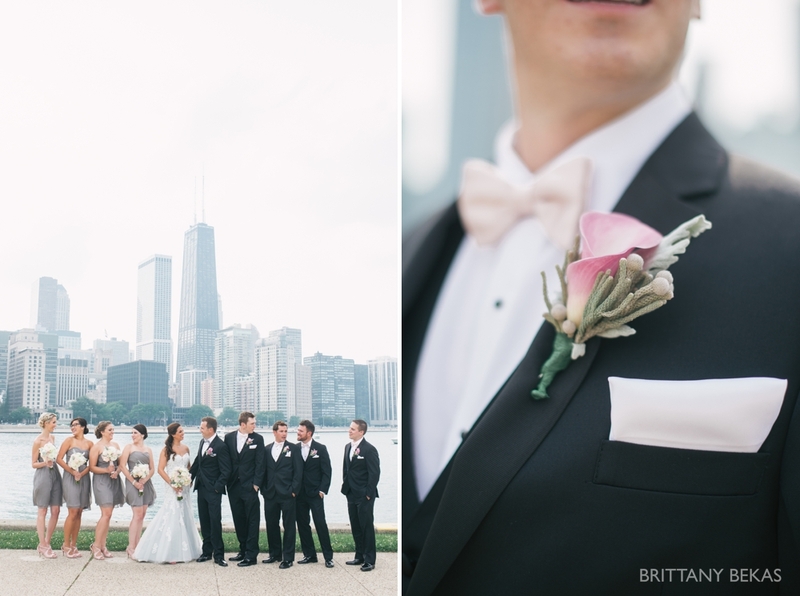 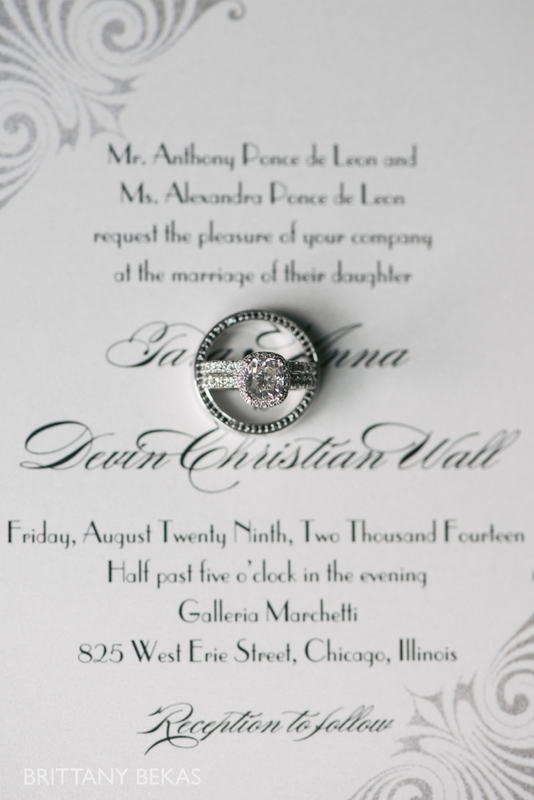 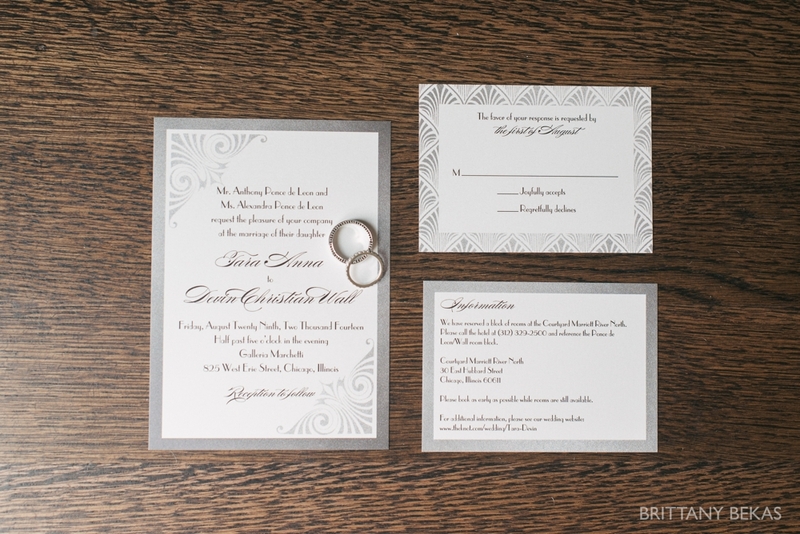 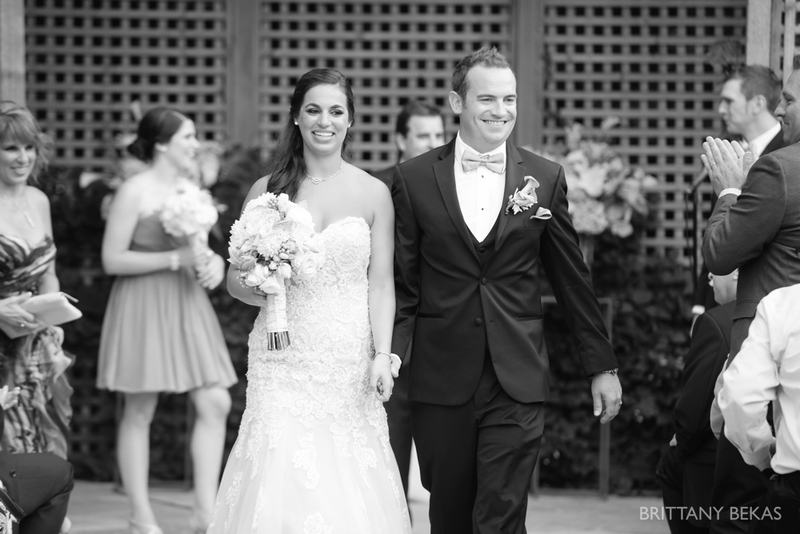 As the clouds lurked over the sun for most of the morning, Tara kept her fingers crossed that the unpredictable Chicago weather would hold out so she could promise her love to Devin outdoors as they had planned for months. 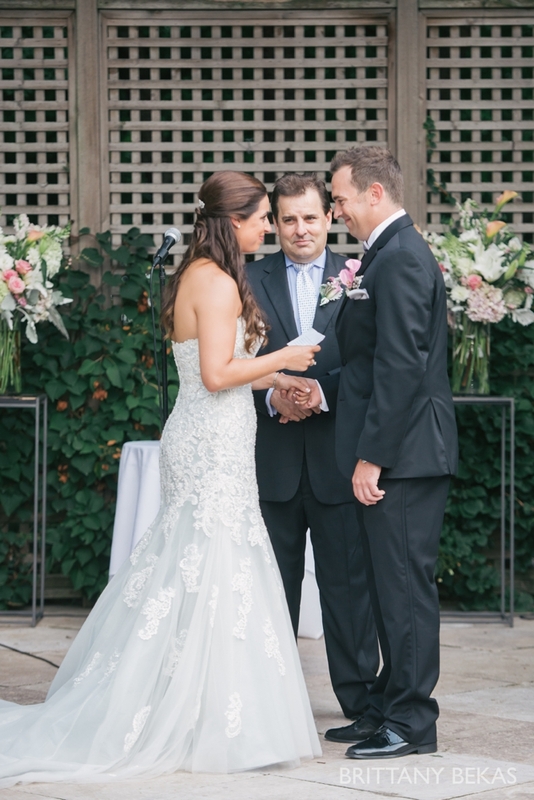 Friends and family traveled from all corners of the country to be present for this day, and she wanted it to be as perfect as possible. 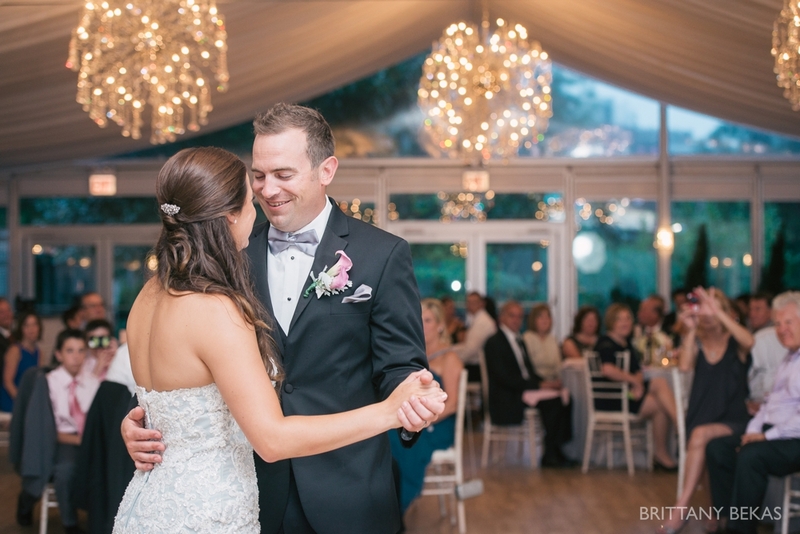 It was a day that was nine years in the making, and a day where Tara and Devin would start a new chapter in their love story. 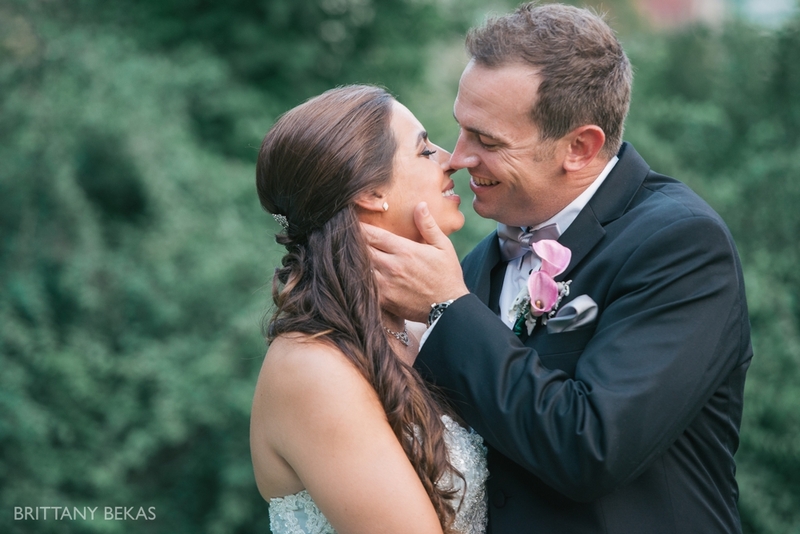 Throughout the weekend, the people who know them best shared many of the reasons Tara and Devin’s relationship is so successful, one of the most important reasons is their ability to compromise. 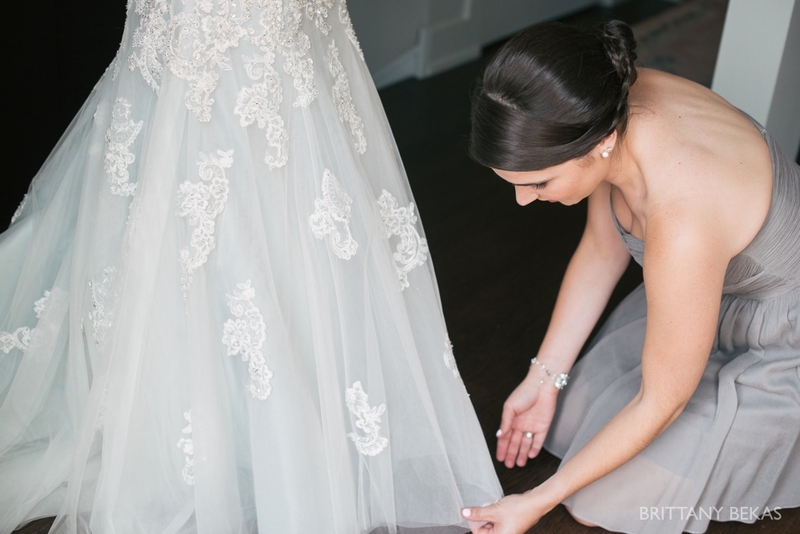 Wether it be stepping out onto the Willie Tower glass ledge when terrified of heights or killing a spider that is creeping around the living room, Tara and Devin sacrifice selflessly for each other. 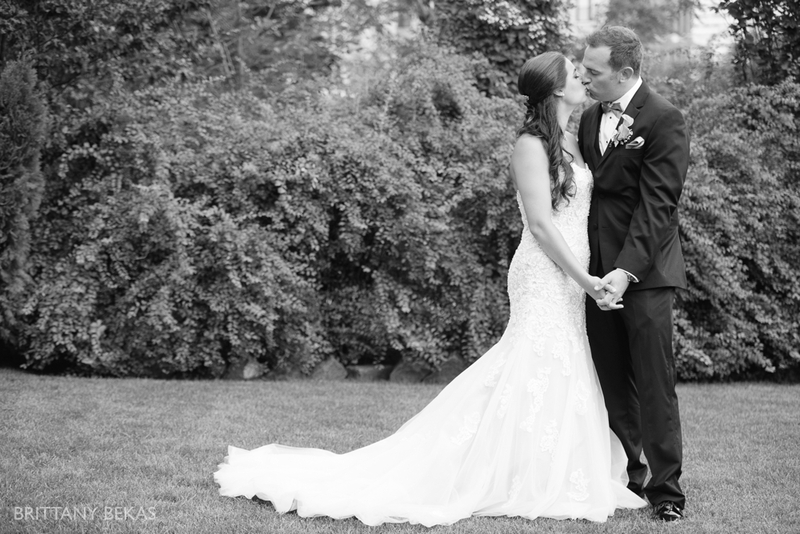 They have grown-up together and more importantly grown together, and in that time, they have blended into each others lives and families. 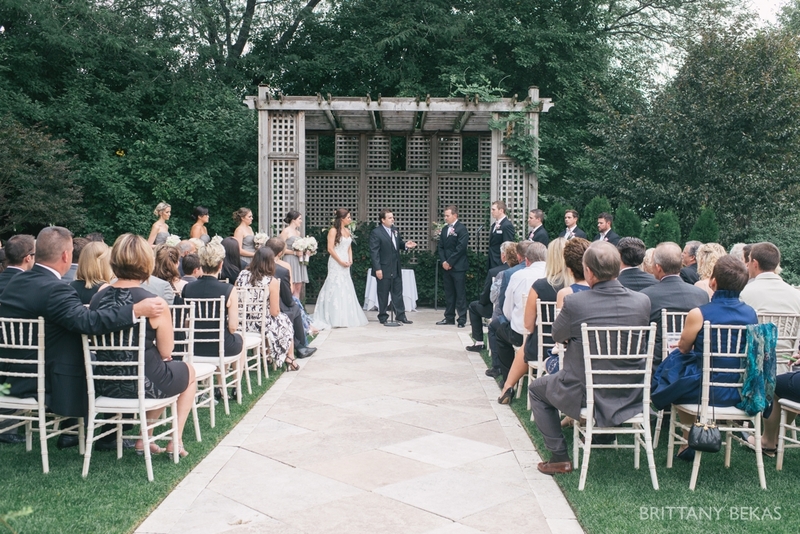 Yet as they stood side-by-side, hand-in-hand on a warm August afternoon, they made it official. 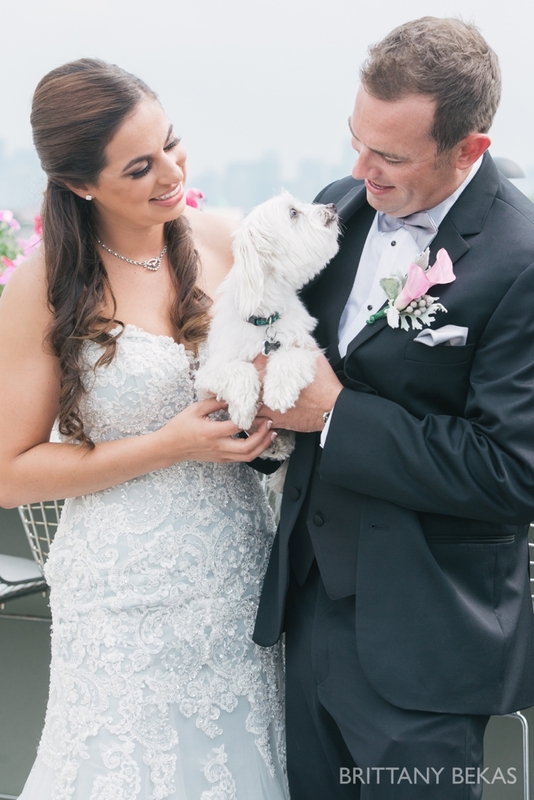 They pledged their love to one another and just like that, their two families became one, and Blake, Tara’s adorable dog who welcomed his way into Devin’s heart, also became Devin’s. 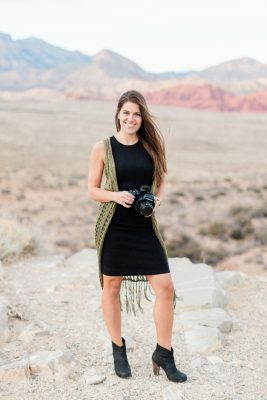 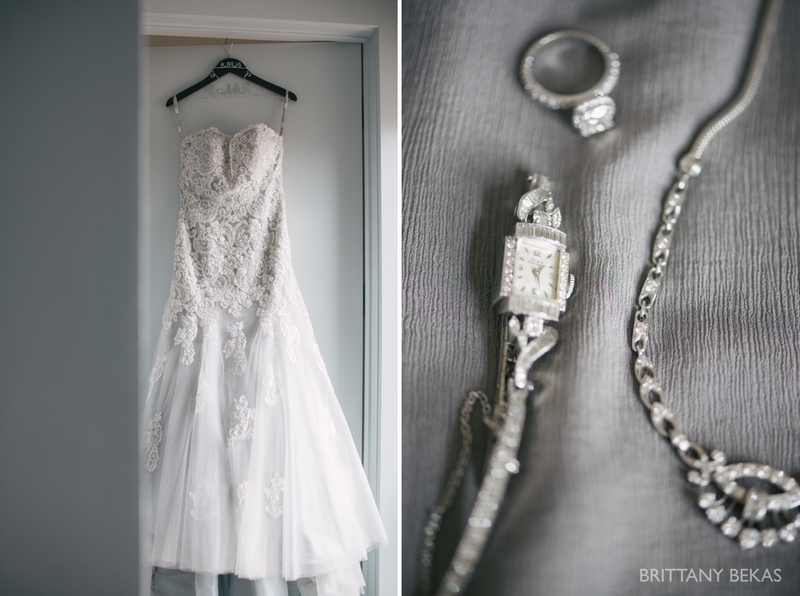 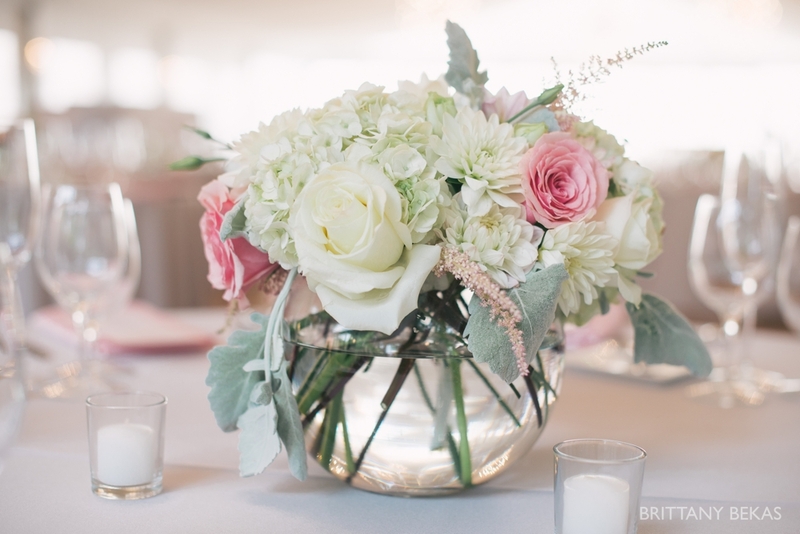 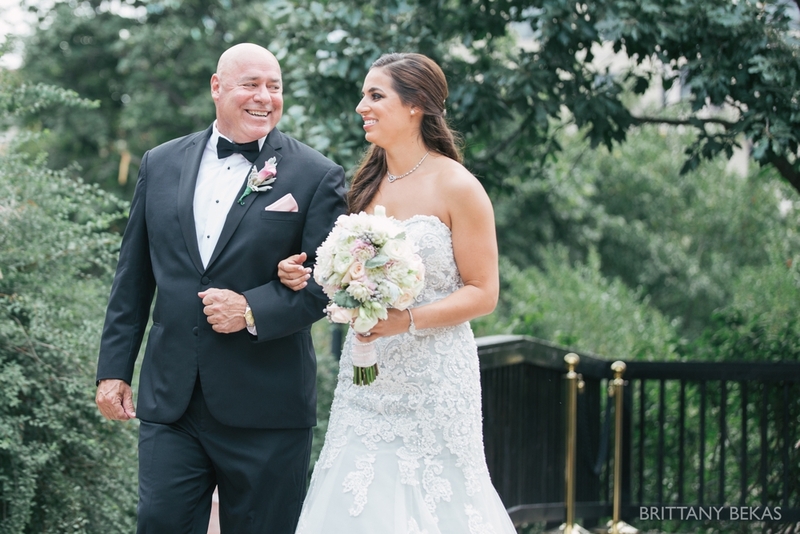 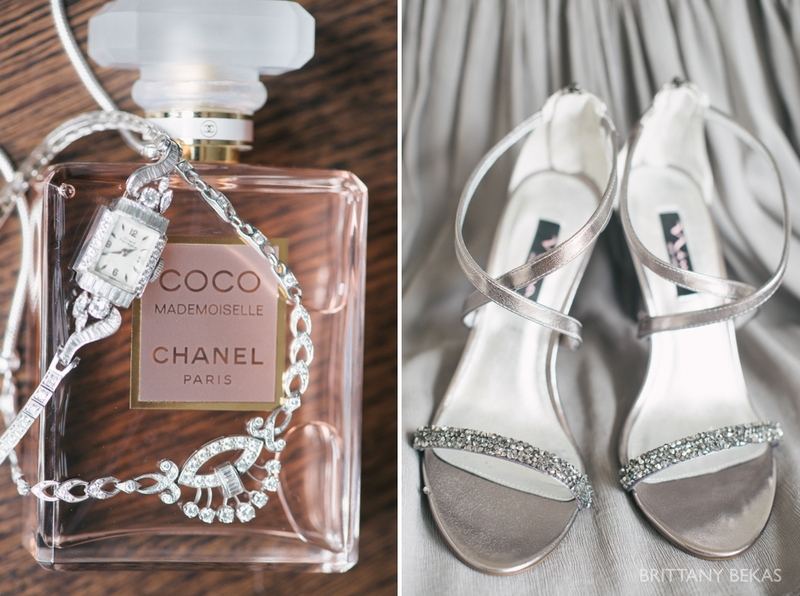 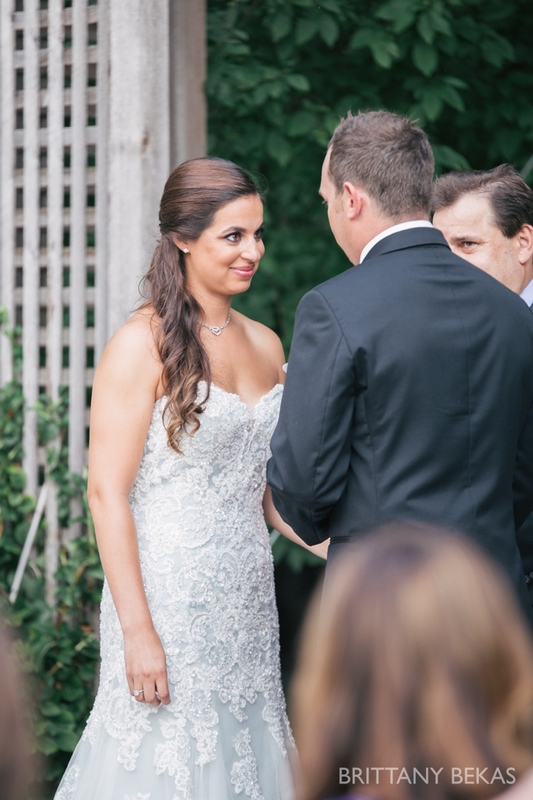 I was completely smitten with Tara’s David Tutera wedding dress and vintage jewelry. 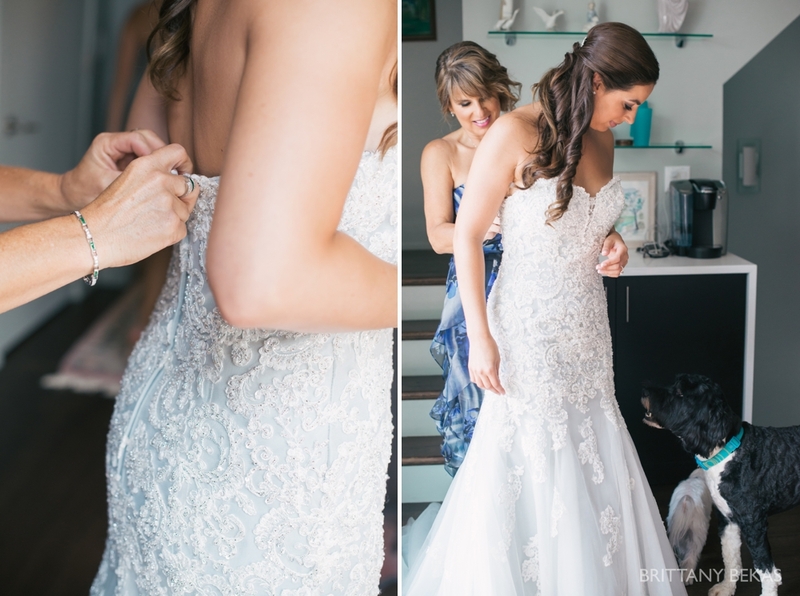 Tara’s mother helped her dressed as Blake, Tara’s dog, lurked in the background. 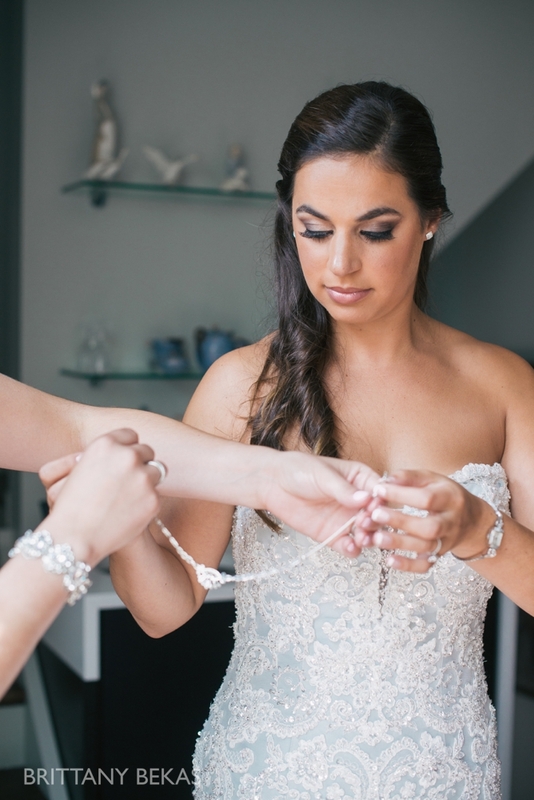 Tara’s matron of honor and former bride of mine, Ashley, made sure Tara looked perfect all day long. 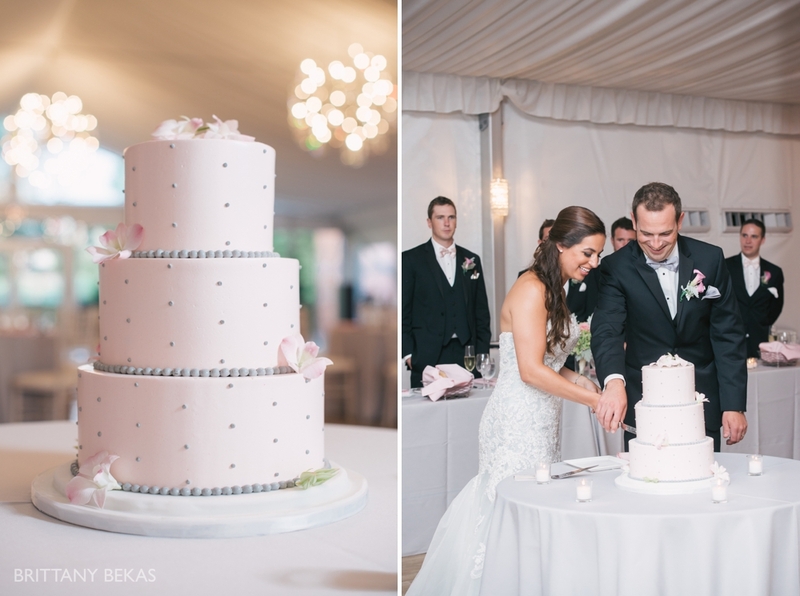 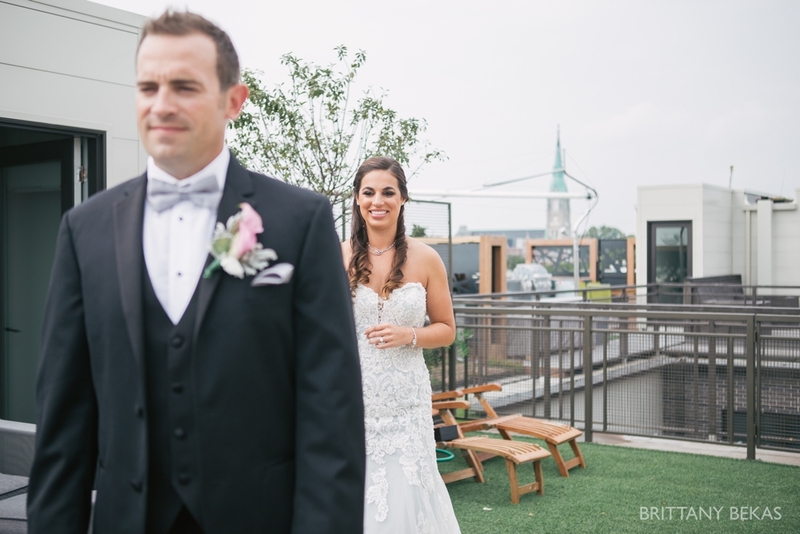 Tara and Devin chose to have their first look on the rooftop of Tara’s mother’s beautiful Lincoln Park condo, and I couldn’t have been more excited. 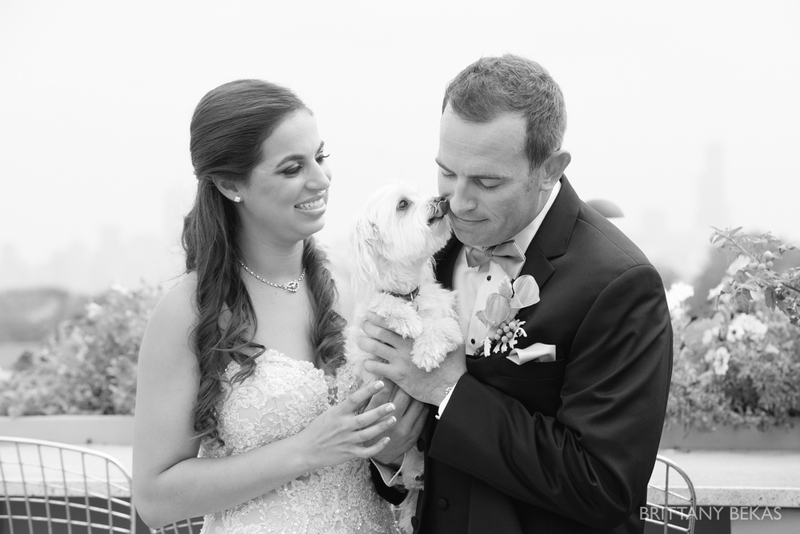 Before we headed to the trolley for more photos around Chicago, Tara and Devin said goodbye to their dog, Blake. 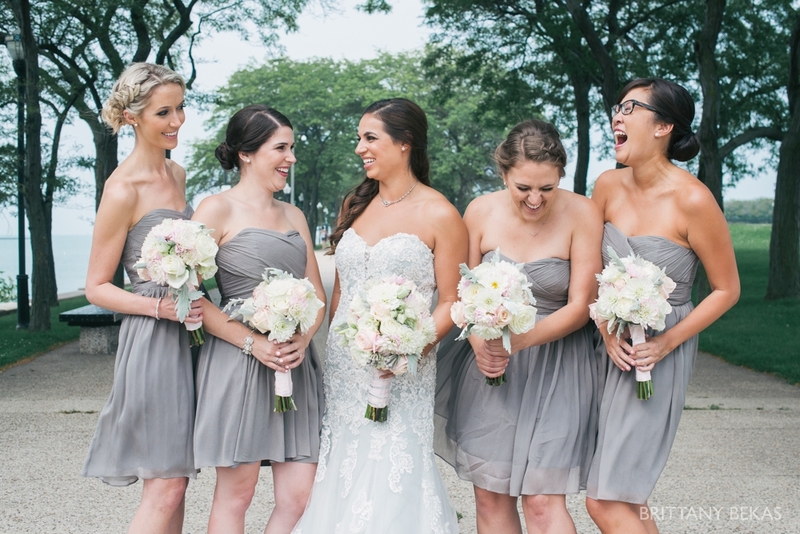 Tara’s bridesmaids were not only gorgeous but beyond sweet. 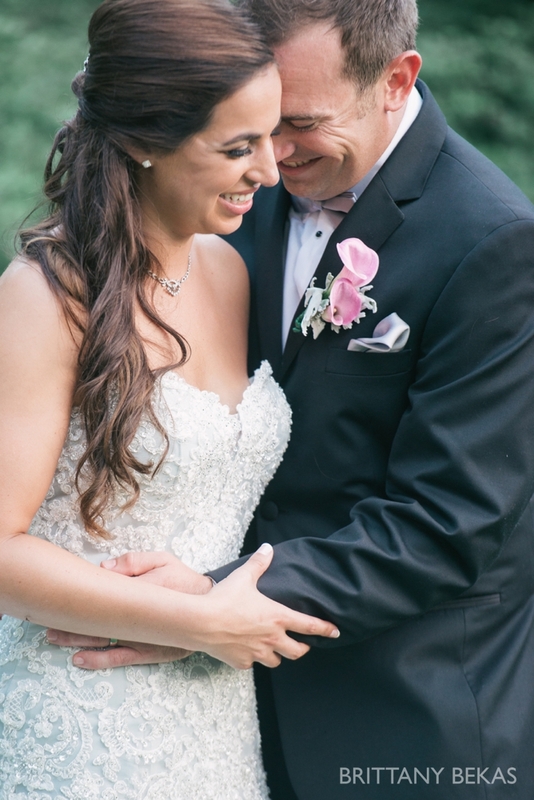 They were pros in front of the camera during our photo shoot in Olive Park. 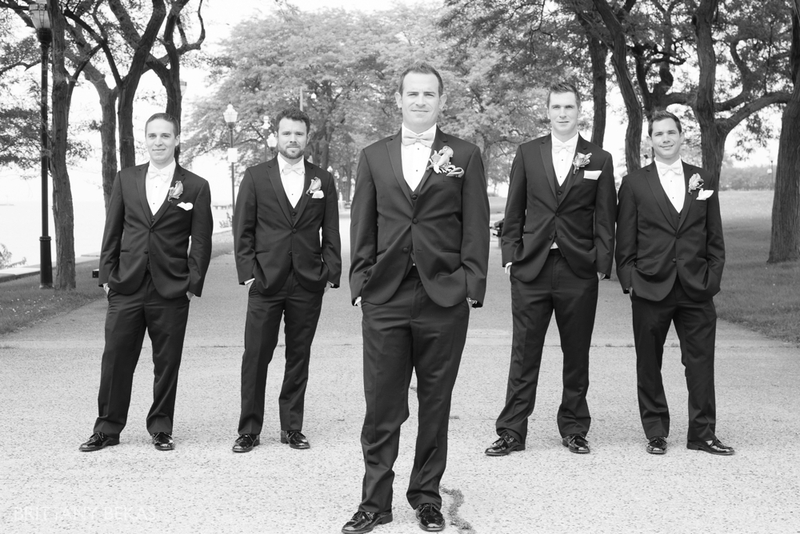 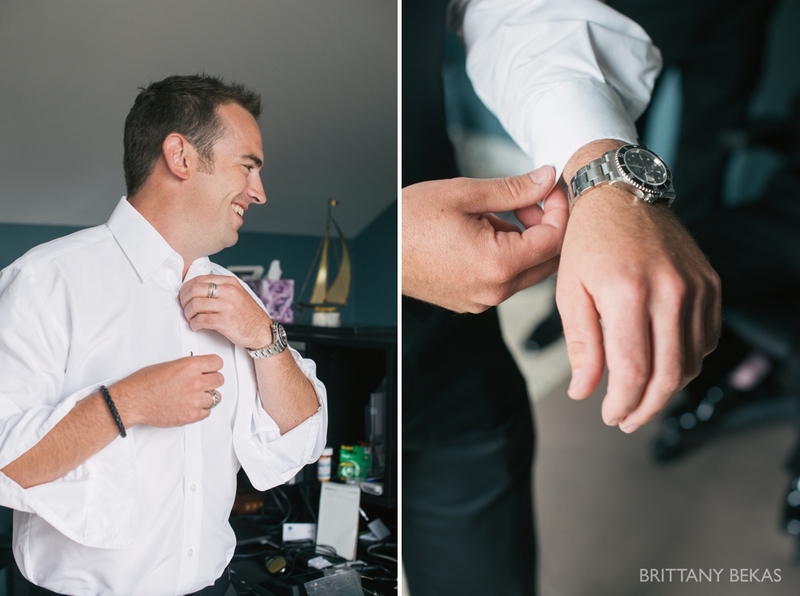 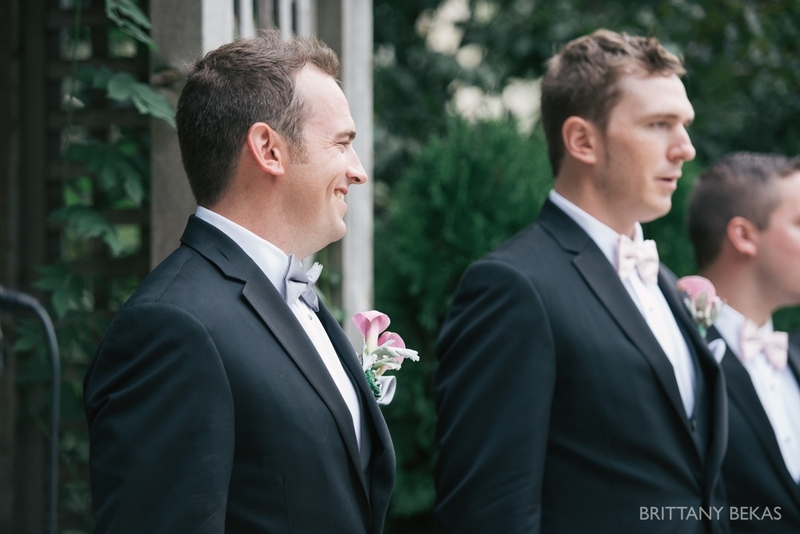 Devin’s groomsmen were so much fun to be around and they worked the camera perfectly. 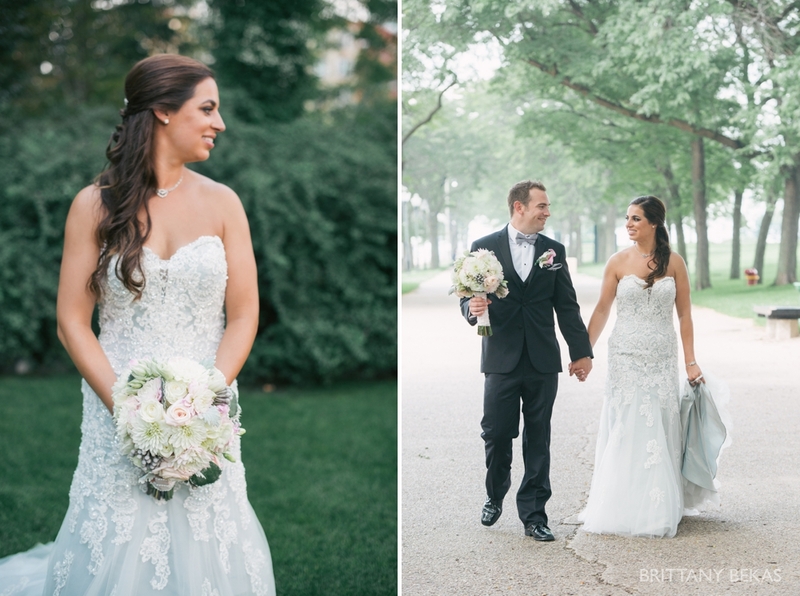 Tara and Devin spent the afternoon in each other’s arms enjoying every moment of their best day ever. 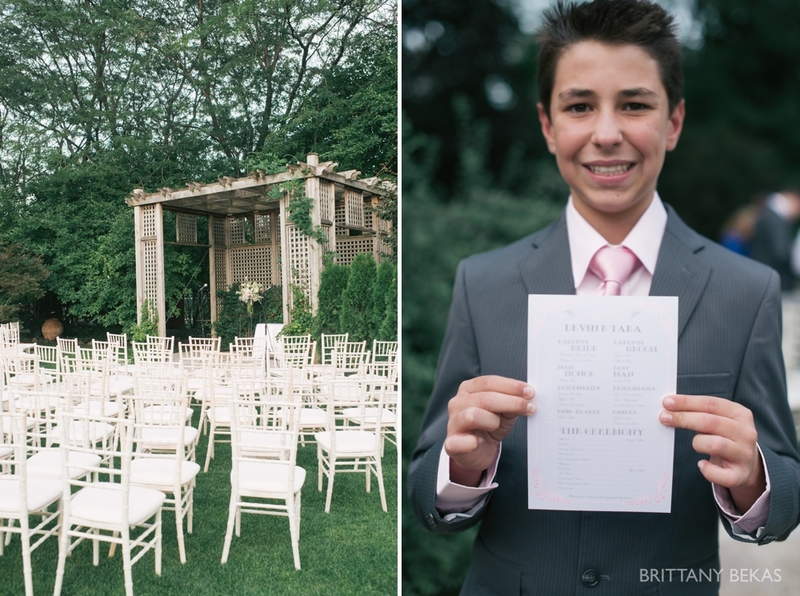 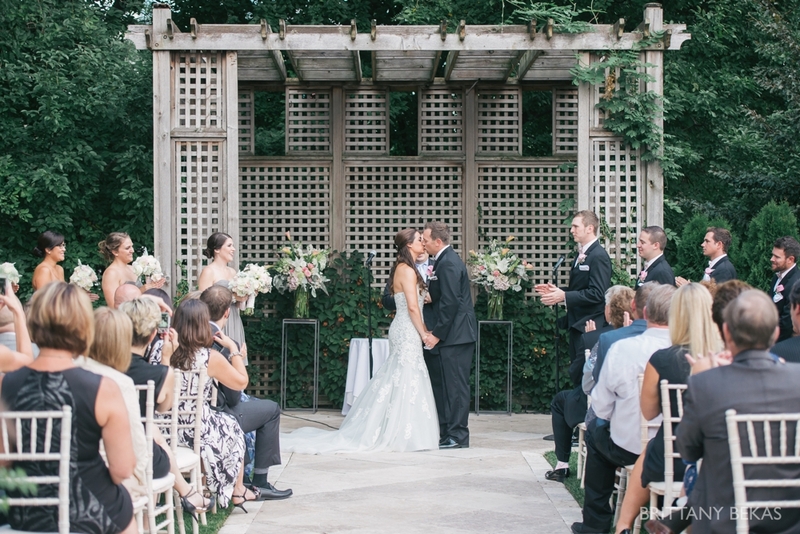 Friends and family gathered for a beautiful outdoor ceremony at Galleria Marchetti. 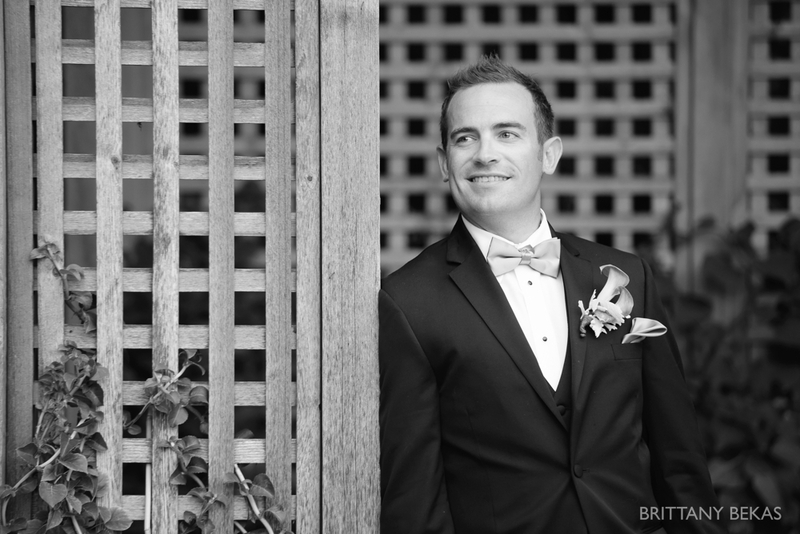 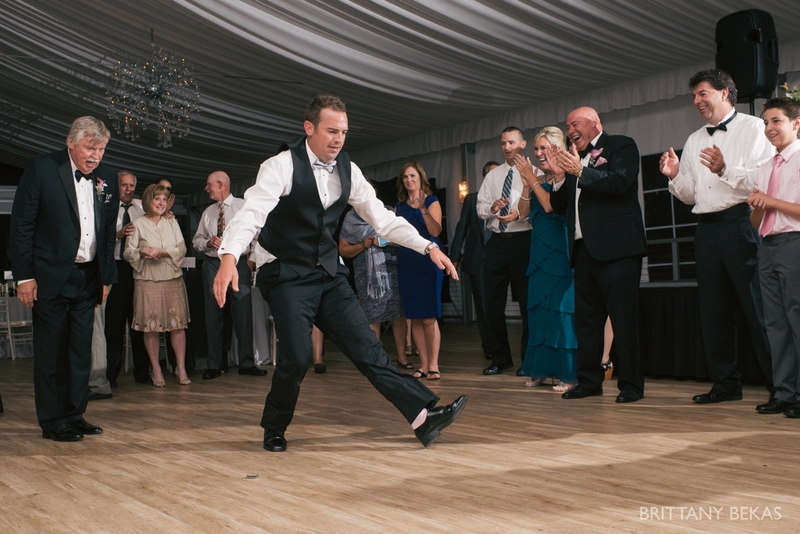 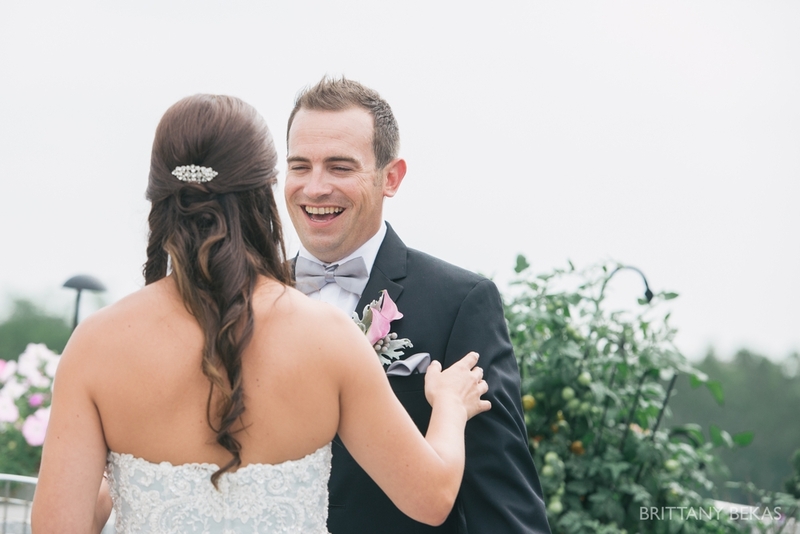 Devin was just as excited to see his gorgeous bride walk down the aisle as he was during the first look. 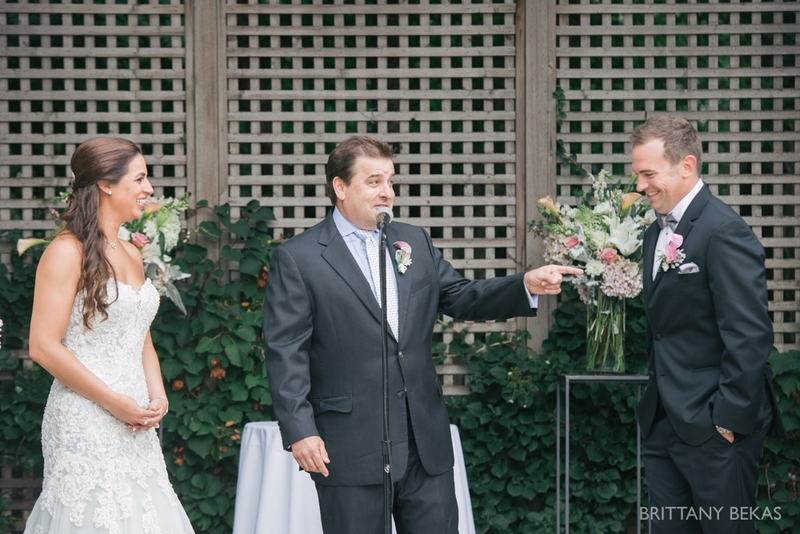 Tara’s godfather officiated the ceremony … speaking from the heart and giving his wishes for a lifetime of happiness for Tara and Devin. 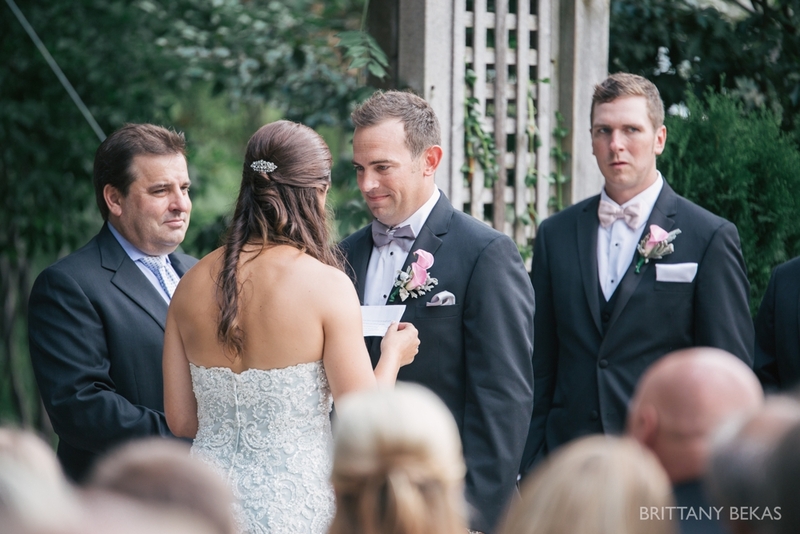 They prepared their own vows …..
We snuck away from cocktail hour for a few more photos during the best light of the day. 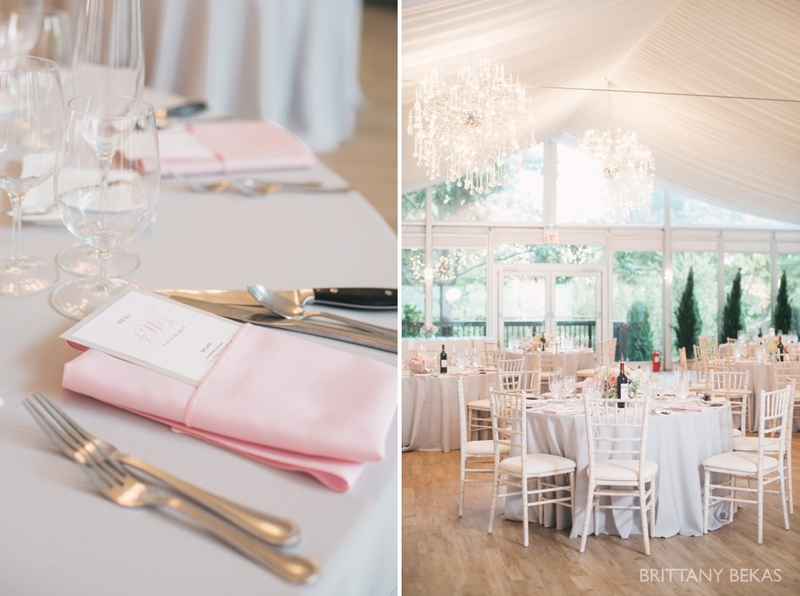 The reception tent at Galleria Marchetti is stunning and A New Leaf designed beautiful centerpieces that only made the space even more breathtaking. 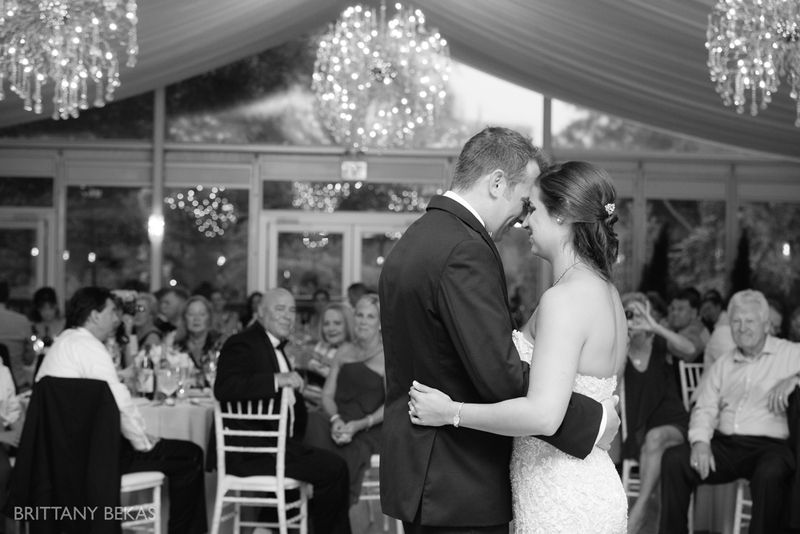 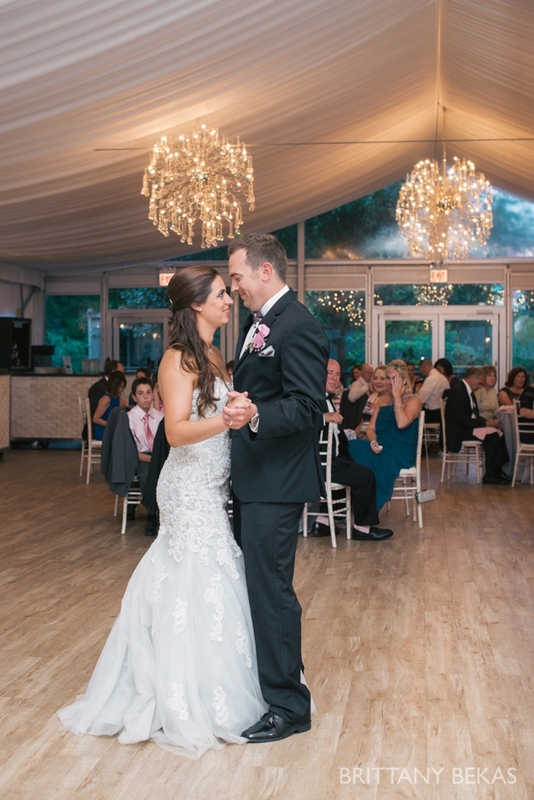 The first dance is always my favorite thing to photograph, and Tara and Devin’s was no exception.